This December 2018, Geddy Lee will release the Big Beautiful Book of Bass, a 408-page book that profiles Geddy's love of all things bass and his personal collection of vintage electric bass guitars, dating from the 1950s to the 1980s. All editions will be available for pre-order at Rush Backstage starting October 2nd at 12 noon EST. 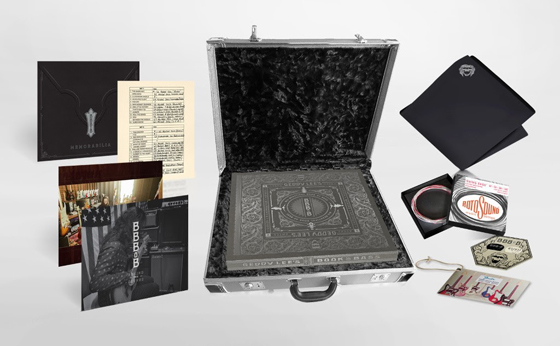 Head on over to Rush Backstage to pre-order the Big Beautiful Book of Bass in three editions: Ultra Limited, Luxe Limited and Standard. The Ultra and Luxe Limited Editions are available only through Rush Backstage in limited quantities. Because we know many collectors will not want to take their books out of the shrinkwrap, we are also including a FREE copy of the Standard Edition book along with this ultra edition.